Answers to FAQs About Automatic Captioning of Google Slides – TC Net-Works, Inc.
Last night I published a video demonstration of the new automatic captioning feature in Google Slides. Today, I’ve received eight emails from readers asking questions about automatic captioning. The theme of the questions are the same so I’m guessing that there are other readers with similar questions. 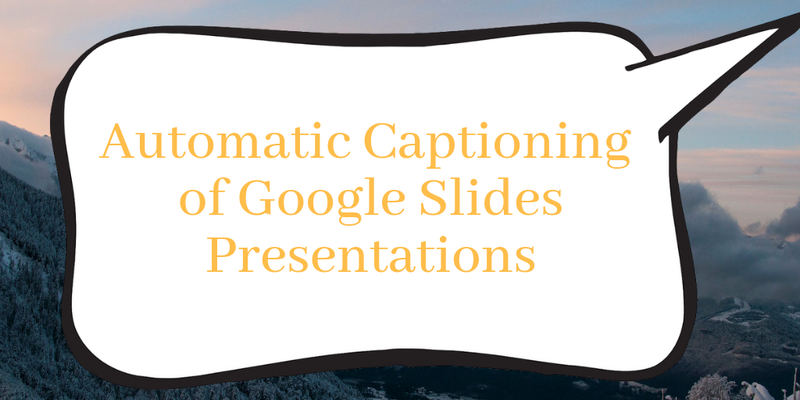 Here’s what you need to know about automatic captioning of Google Slides right now. 1. It’s not available for all users, yet. As I mentioned earlier this week, the feature will be rolled out over the course of the next couple of weeks. 2. It is only available in English. 3. You must use Google Chrome on a Chromebook, Windows, or Mac computer. 4. The captions do not save. 5. It does not translate.